Mintage a mere 2.2 million coins! A must-have in strictly Uncirculated condition! Struck to celebrate 100 years of Federation, this coin pays tribute to Norfolk Island. 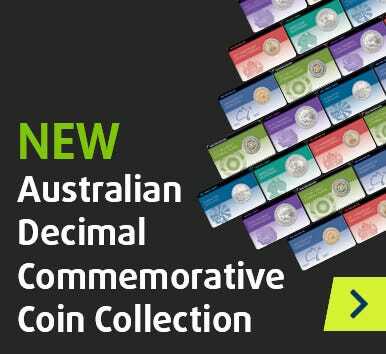 Initially released as part of the Royal Australian Mint's 2001 Federation 20c nine-coin series, it is crucial for a complete decimal coin collection! The 2001 Federation 20c series comprises Australia's lowest-mintage commemorative 20c coins ever released for circulation. The series' nine coins are all extremely hard to find in change - and impossible to do so in Uncirculated condition! While 82 million of the standard 20c coins were issued in 2001, just 2.2 million 2001 Norfolk Island 20c coins were struck. It's hardly surprising that this coin is so rarely seen in change! Here's your opportunity to secure a scarcely-seen decimal issue in stunning Uncirculated condition! Don't miss this chance - click 'add to cart' today!